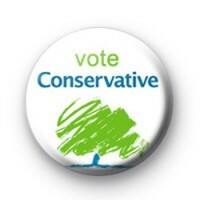 Vote Conservative Tory Election Badges. 2017 General Election badges. Theresa May leader of the Tory Party. Standard 25mm button badge.